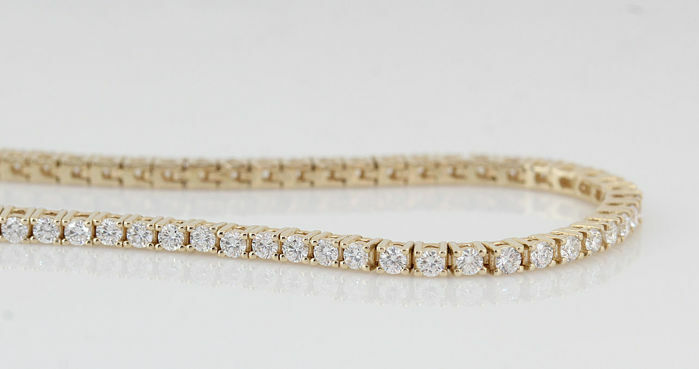 14kt strong brilliance diamond tennis bracelet total 2.00ct. 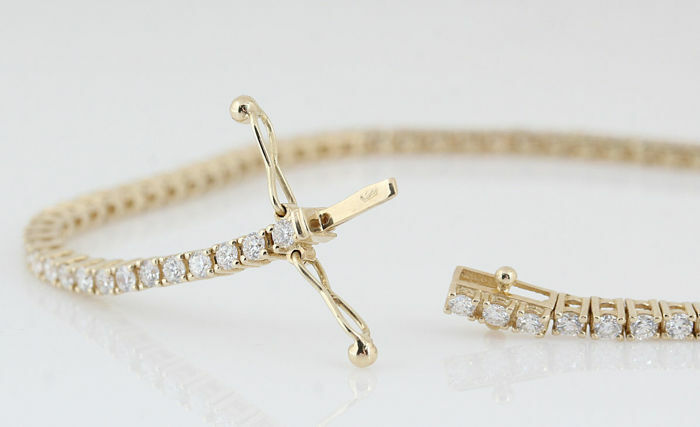 Bracelet features slide in clasp with double security catch lock. Item wil send in luxurious leather jewelry box and with Fedex transport. 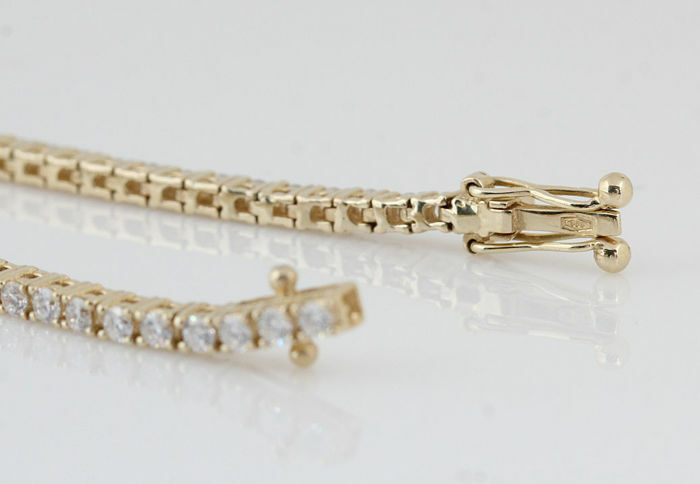 All Items send in jewelry box with Fedex priority insured. Heel snel bezorgd, goed ingepakt en precies volgens beschrijving. Je vous remercie pour cette jolie bague, bien que je pensais les diamants un peu plus grands. Ils sont très petits en fait.